Though the Wesleys are known as evangelical pioneers, the momentum for the movement they founded had been building long before they arrived. John Wesley’s parents, especially his mother, profoundly influenced his character and career. Were disgruntled parishioners responsible for the apparitions? Chronology of key events in the lives of the Wesleys and their movement. 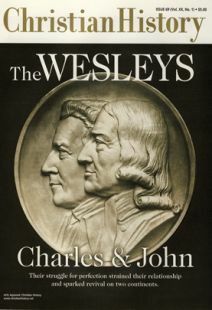 Resources for further study of the Wesleys and of Methodism.